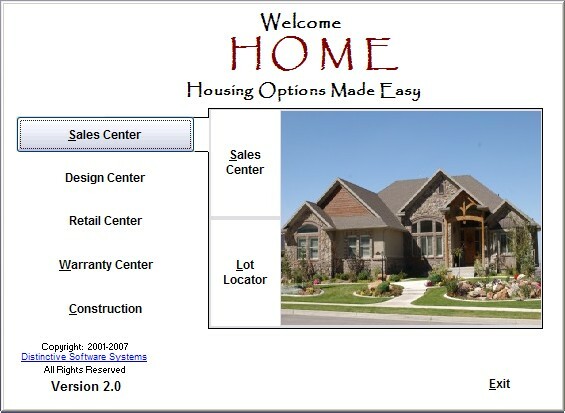 HOME is the software solution for home builders to manage the sales process, construction phases, and warranty issues. HOME provides the ability to create a new home sale, choose the lot location and floor plan, select the architectural options, and track invoices and payments. Home is also a great customer service tool that can be used to create work orders for upgrades and fixes to a home, send letters to new and prospective home buyers, and to print and view in depth reports.